Medium-bodied yellow coloured cement for ABS pipe and fittings. Up to 6-inch diameter. For all types and grades of ABS pipe and fittings for DWV. Lo-V.O.C. Solvent Cement meets SCAQMD 1168/316A or BAAQMD Method 40 and various environmental requirements. For all non-pressure applications. Recommended application temperature 4C to 43C. Meets ASTM D 2235. 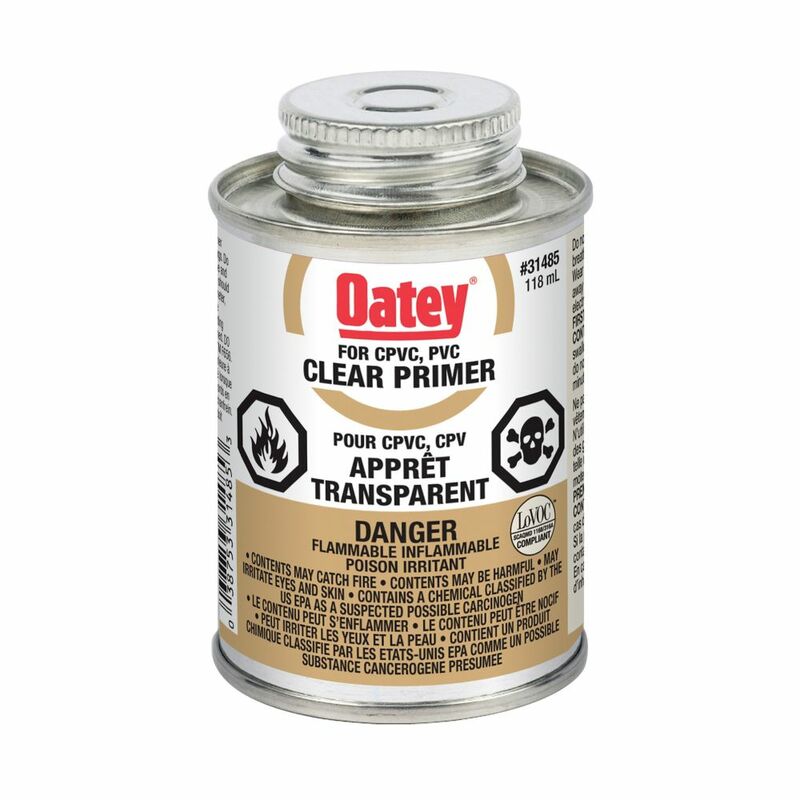 118 Ml Clear Primer Crc (C) Clear aggressive primer for use on PVC and CPVC pipe and fittings. Lo-V.O.C. Solvent Cement meets California South Coast Air Quality Management District (SCAQMD) 1168/316A or BAAQMD Method 40 and various environmental requirements. Removes surface dirt, grease and grime as well as softens the pipe surface to allow a fast, secure solvent weld. NSF listed. Meets ASTM F656.